BlackBelt Whey Protein Isolate Is Lab tested. Fast acting protein – Absorbs rapidly. Charged with essential and non-essential amino acids. Extremely high in protein (90%) low in fats & carbs. Aids muscle recovery and growth. With water it is only 161 calories – feed the muscles, limit the calories. 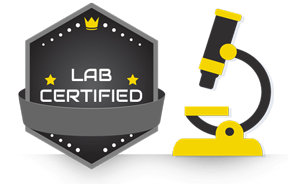 Blended, packaged and third party lab tested right here in Australia! Who Should Use Whey Protein Isolate? 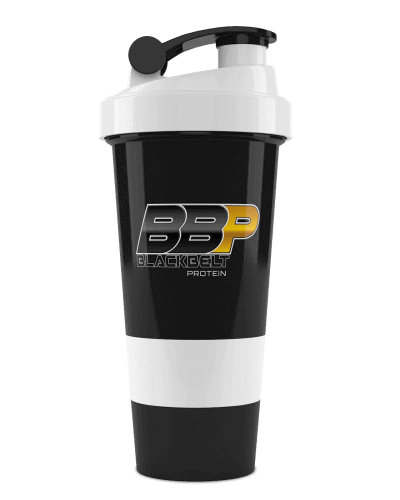 Our WPI should be used by anyone looking to feed their body high quality nutrients. 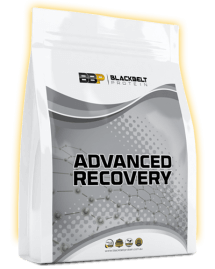 It is loaded with amino acids, will aid your recovery, and enhance your ability to build lean muscle. 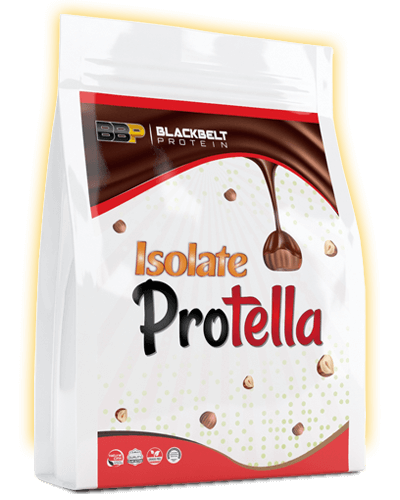 Once you try BlackBelt Whey Protein Isolate, you will never look back! The biological value offers a measurement of how effectively the body uses protein consumed in the diet. A food with a high BV is considered a higher quality protein as the body can better utilise it to repair muscle. Before whey protein, eggs had the highest BV value. Between proteins types and brands the BV value can differ. As our protein is stacked with amino acids, it has an extremely high biological value. 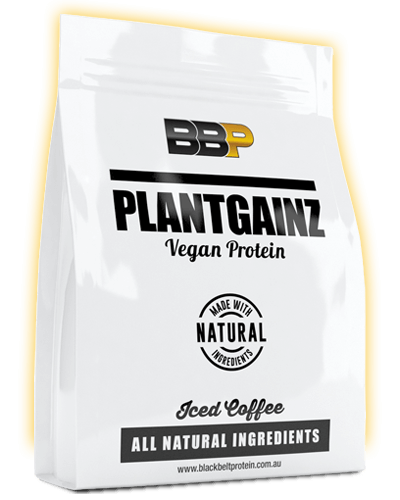 Understanding our customers draw on their protein powder as a continuous source of nutrition, we have included a bio-active mineral blend. The unique mineral complex is sourced off the Icelandic coast and provides bio-active calcium, magnesium and 72 other trace minerals. 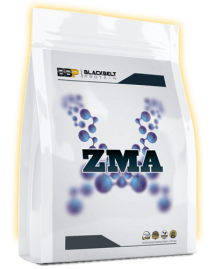 The mineral blend has strong scientific evidence showing benefits for bone, joint and digestive health. The end of gums & fillers. If you are currently supplementing with a protein, we encourage you to have a look at the nutritional panel. You may notice it is loaded with cheap and unnecessary fillers and gums. 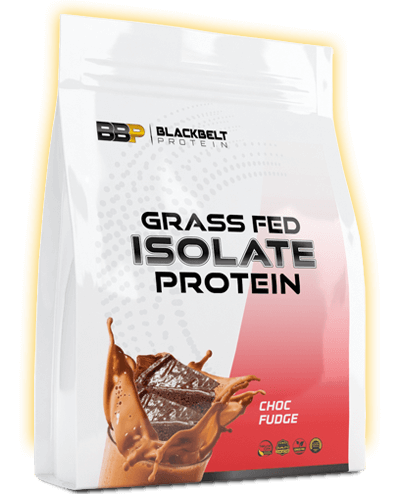 We are committed to leaving the cheap additives out of your protein and only providing you with natural grass fed, amino loaded protein. 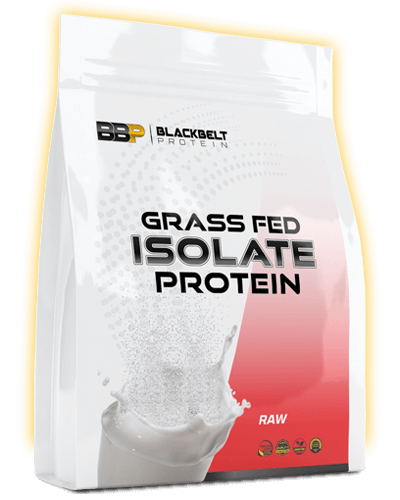 How is our Whey Protein Isolate made? Milk is gathered from grass fed cows and taken to the cheese manufacturing facility. From here cheese is produced and liquid whey is left over from that process. This liquid whey is then transported to the whey factory where it goes through a process called “cold filtrated cross flow ultra-filtration”. This is a natural process where the whey travels through a factory of stainless pipes that slowly filter out fats and lactose. 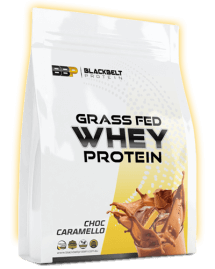 The whey is filtered to 90 % protein and dried to create WPI90. The protein is then tested for purity, blended into 14 delicious flavours, and packaged into 1-kg BlackBelt bags. 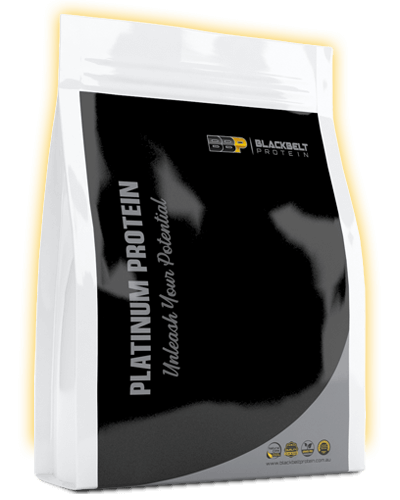 Whey protein concentrate in filtered to a lesser extent ( 80% ) allowing to to be distributed at a cheaper price. Whey protein isolate is generally consumed 2-3 times per day. It is best to spread consumption throughout the day giving your muscles a consistent flow of nutrients. It should form part of a well-constructed diet plan, so that every meal delivers adequate protein to the muscles. Grass Fed Whey Protein Isolate, Iceland Sea Minerals (Lithothamnion species, E296, E330), Flavouring, Sucralose , Chocolate flavours include organic and alkalised Cacao. Raw contains no flavours, sweetener, or cacao. Is your protein tested? Yes, every ingredient is tested pre-blend. 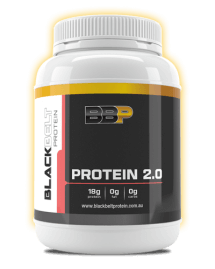 Once the blending process is complete the protein is sent to a 3rd party Australian Government laboratory to insure protein levels are accurate. Why is your protein so much cheaper than retailers? Rather than selling to retailers who will add a margin and sell to their customers. We manufacture all our products in-house and sell directly to our customers. This means there is no middle man adding a margin to our goods. Where is your WPC made? All manufacturing takes place right here in Australia. What is the difference between WPC and WPI? WPI has been isolated to 90%, it has hardly any carbs, fats or lactose. WPI disperses better in liquid and has more protein per serve. WPI may be especially beneficial for people with light stomachs that can’t handle lactose. However, if you are after value for money, WPC offers incomparable bang for buck.